When I was a kid Easter was all about the Chocolate! At some point we somehow agreed with our parents that it was in the Easter Bunny’s interest for my brother Erik and I to be able to pick out our Chocolate Bunnies ahead of time, to maximize the joy of Easter morning. 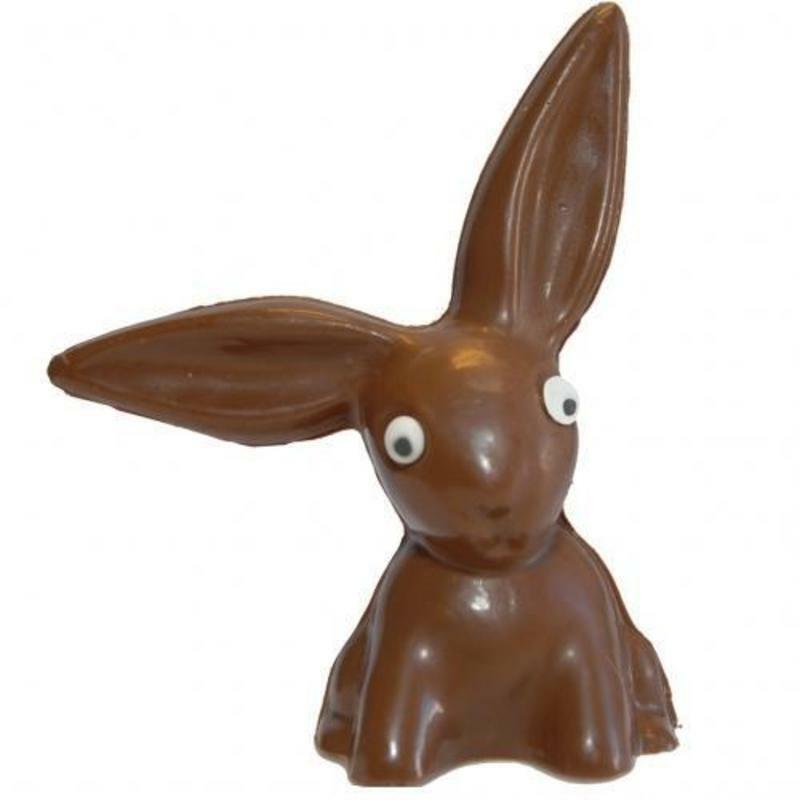 As the years went by we moved from picking the awesome hollow molded Easter-Bunny-in-Race-Car with hard chalky candy eyes to the full up, solid, dark chocolate version. The ears were always the first to go, and one would do well to guard their take against poachers. Easter candy was serious business! If Easter was about the chocolate, Lent was about the lack there of. We weren’t serious fasters in my family, but the connotation I picked up about Lent was that it was about giving something up. I wasn’t sure why, but if it in some way affected the take on Easter morning I was in. Off they went, returning 20 minutes later with the proper offering for their pilgrimage. Stephanie and I have brought this love of chocolate to our children, although Mom the Pediatrician held it back for the first year. On Easter Sunday when Sam was 20 months old he had his first taste of chocolate – a piece of Dark chocolate Dove bar – the best we could find. I still remember the look on Sam’s face when he tasted the glorious substance – it was a joy and wonder: “Wow this is awesome!” combined with some incredulity: “You guys knew about this! You’ve been holding out on me!” He couldn’t get enough. Sam’s reaction to his first piece of chocolate was similar to my own reaction to experiencing the Power of the Holy Spirit for the first time when I was in college. I was filled with a beautiful goodness, an awesome love, something beyond anything I’d experienced before. I was left both amazed and incredulous – some of these people knew about this! They have been holding out on me! In realty perhaps it wasn’t that they were holding out, but in part that I was not ready – I did not have room to be filled with that amazing goodness. That is what I think of as the purpose of Lent. We begin 40 days of preparation on Ash Wednesday to make room for more of the awesomeness of God. We have the opportunity to fast, pray, sacrifice, and focus on Jesus to create more room in our lives for his presence – to hear Him better, to break down walls that may separate us from His love; to repent of sin that block us from going deeper in our relationship with Him and to attempt to understand in a small way the sufferings he endured on our behalf. This trajectory will lead us through the pain of Holy week, to the triumph of Easter, and beyond to the amazing filling with the Holy Spirit on Pentecost! It’s better than chocolate! Let it not be said of us that we were holding out. May we keep a Holy Lent!